There are many reasons to add videos to your website. Videos can help showcase your brand and personality, encourage users to spend more time on your site, and give your pages a fresh, modern look. liveBooks’ video gallery functionality that gives you the ability to add multiple videos on one page in a visually pleasing way. Engage your website visitors by adding various video resources onto one page, and let your video content take center stage. Taking advantage of video galleries make it easy to leverage the power of video content in a beautiful way. Whether you house your videos in YouTube or Vimeo, this new feature lets you display your videos by simply copying and pasting your video URLs into the video gallery content block. Your video titles and descriptions are automatically imported, so your website viewers can quickly see what your videos are about. 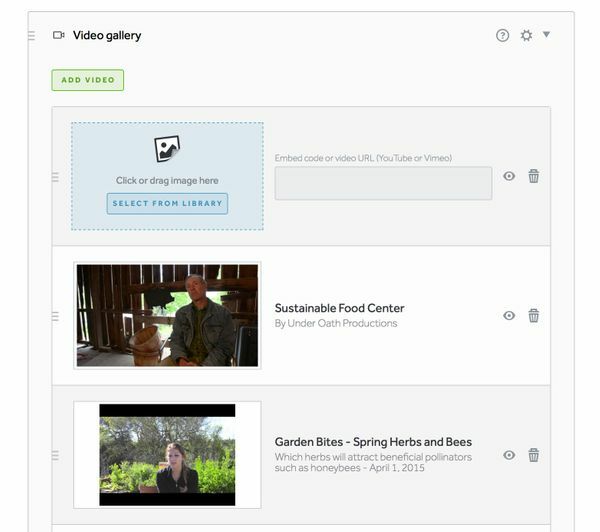 After you’ve added your videos, our user-friendly design tool lets you customize the look of your video gallery. Choose between 7 video gallery layouts, adjust your video height, add animation effects and more. For step by step instructions on how to use this exciting new feature visit our support library. Have an idea for a great new feature? We invite you to reach out and let us know what we’re missing! 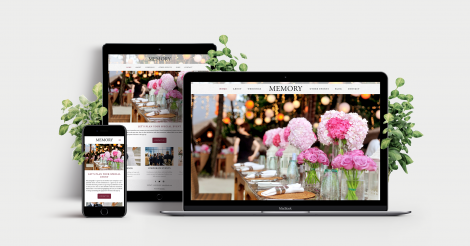 We love hearing feedback from our customers and want to continue building our platform with the tools and features you need to create beautifully effective websites. Should You Add Video To Your Website? The short answer: yes. According to Forrester Research’s Dr. James McQuivey, “a minute of video is worth 1.8 million words.” Here are 3 reasons why you should add video content to your website. Engages your audience. Video consumption is only growing in 2018, and by sharing videos to your website, you are capturing consumers’ attention and, in turn, driving higher engagement on your site. Improves Google Rankings. You understand how to implement SEO best practices, but did you know that the amount of time consumers spend on your site also plays into Google Rankings? When you are capturing attention through an engaging video, you’re enticing users to stay on your website longer. Therefore, improving your Google Rankings. Gives Your Brand Personality. Of course you can showcase your personality through your copy and images. Add another layer with video. When you feature a video of yourself you are humanizing your brand and creating a deeper connection with your visitors. This gives them a reason to come back to your website. Wondering where to begin with uploading videos to your website? With liveBooks’ Video Galleries you have the option to add multiple videos on one page, in a pleasing manner. Adding a Video Gallery block to your page is simple, just follow these easy steps.